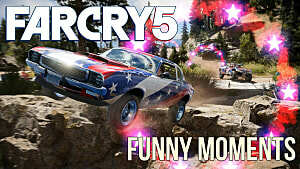 Let's face it, we all knew Far Cry 6 would be happening at some point. 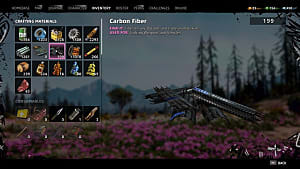 Despite Far Cry 5's mixed reception, there was never any doubt Ubisoft would return to the FPS cash cow; after all, the game did break franchise sales records, becoming the company's second best selling game of all time while raking in some $310 million in its first seven days on the market. However assured we were that the series would return, we weren't necessarily ready for a new Far Cry announcement this soon. Shared today on Ubisoft's official Twitter account, a fresh teaser trailer for something Far Cry shows the aftermath of Far Cry 5 where (spoilers) the bombs dropped on Hope County changed the world forever. 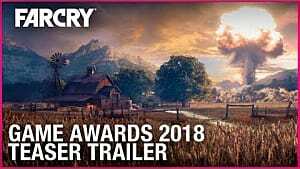 Set to be shown during tomorrow's The Game Awards, what's presumably a longer, perhaps more elucidating trailer will unveil the next "installment" in the Far Cry universe. But will it be Far Cry 6? And if so, will it be a direct sequel to Far Cry 5? Right now, it's just too early to tell. However, we can look back at the franchise's history and glean a tiny bit of insight. To this point, the franchise has never had a direct, mainline sequel. 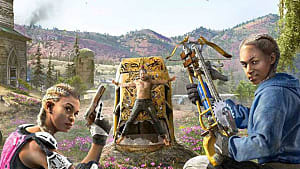 Each game, from the original Far Cry onward, has been its own self-contained story with new protagonists and villains. 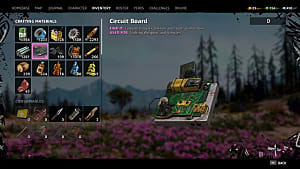 However, several of Ubi's other series, such as Assassin's Creed, have had direct sequels, while other series, such as Watch Dogs, have taken the shared-universe route, as Far Cry has in the past with the recurring character of Hurk. 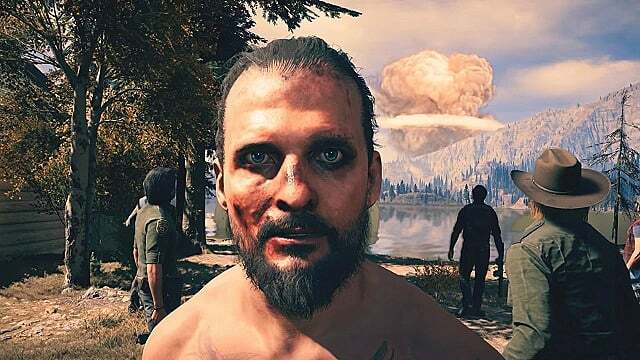 We do know based on the trailer that this Far Cry will be shaped in some way by the Far Cry 5 ending that saw Joseph and parts of his cult survive the initial nuclear blasts (that's because they didn't happen at all in the game's other endings). Will we see Eden's Gate 2.0, bigger and badder than ever? 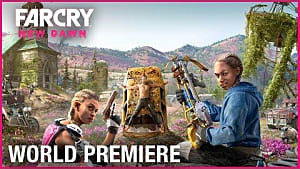 From what's been shown so far, we can't tell if the teaser trailer is simply recounting the events of Far Cry 5 for dramatic effect, leading to a full-blown post-apocalyptic sequel, or hyping the reveal of a new spin-off game or set of DLCs. The latter two options could also be in play for Ubisoft as the company has released quite a few series spin-offs over the years. The most popular of those was 2013's Far Cry 3: Blood Dragon, an '80s acid-trip of a game that saw Snake Plissken impersonator Rex Powercolt taking on cyber soldiers and robot dinosaurs in a psychedelic futurescape. The spin-off shared the same environment as Far Cry 3 (except one that was highly stylized), as well as its controls and mechanics. 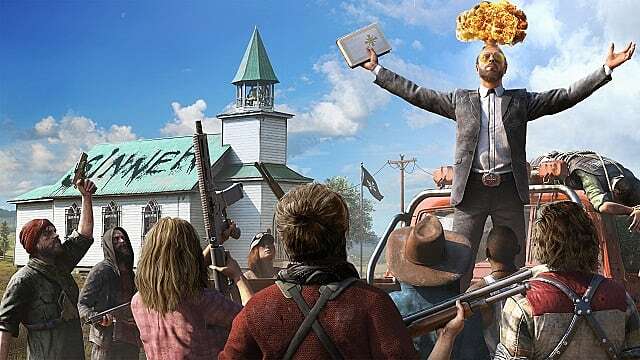 It was released five months after Far Cry 3, but its trailers were decidedly more in line with those of Far Cry 5's expansions than what we see from Ubi's latest tease. 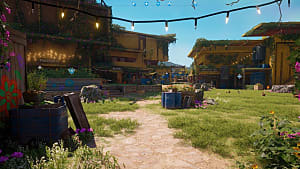 If what's announced is a mainline game -- whether it's a direct sequel or not -- it will most likely be creatively titled Far Cry 6, and it will be set in some type of post-apocalyptic scenario. 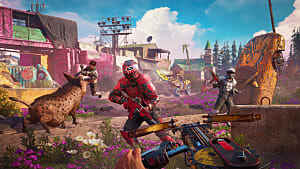 Dare we say it will be Far Cry 6 Battle Royale: Post Apocalypse Edition or Far Cry: Wasteland Survivor 76? With Ubisoft, one can never be certain. We'll just have to wait and see. The Game Awards begins at 8:30 p.m. EDT on Thursday, December 6, and will be streamed on a dozen platforms, including Twitch, YouTube, Caffeine, Steam, PlayStation, and Xbox Live.